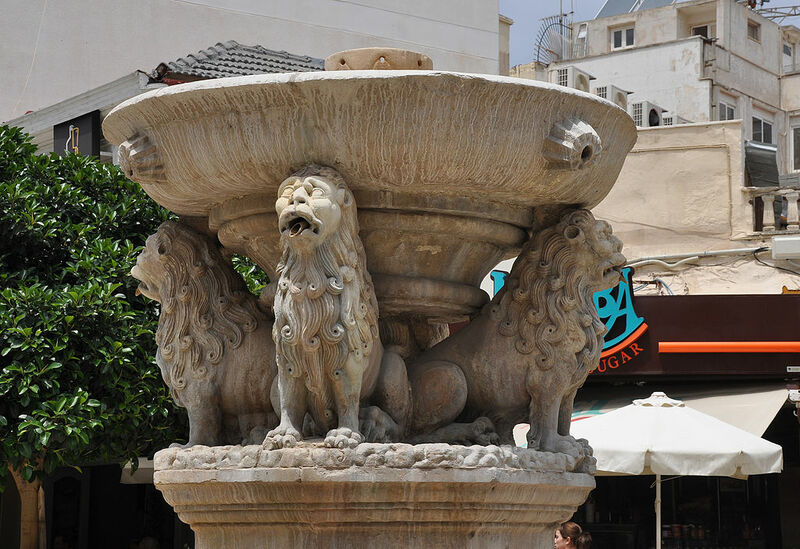 Heraklion Crete Island Travel Guide gives you handy information on the city and the interesting things you can do in and around, like organised tours and cruises, vacation packages and short walks. Heraklion is the capital of the island and the largest city. The city has a population of 120 000 the fifth largest in Greece. In the middle of the north coast, is also the transport hub with the international airport and the main port of the island. A wall of 3 km with four gates and seven ramparts contains the town of Heraklion and its suburbs. Heraklion in ancient times serves as a port of Knossos but it is only in the 9th century AD that it appears as a town. Soon and under the occupation of the Venetians who built immense fortification walls, that stand intact even today, became the big commercial centre of the whole Mediterranean, called Kandax which was later paraphrased to become Candia. Venetians erected many buildings that are excellent examples of Venetian Architecture of that time, and many of them exist today. The Basilica of San Marco and the Loggia are two such specimens, while the Morozini fountain with its four lions has even given its name in the central spot of the town. A busy town, a communications hub that receives and distribute most tourism traffic arriving on the island, but light industry and Agriculture in the periphery, also affect the life. Heraklion is very privileged today, to have in its suburb list, famous names like Knossos, the most prominent city of the Minoan era. Linked directly with Knossos, is the Heraklion Archaeological Museum housing most findings not only from Knossos but other Minoan Palaces like Phaistos in the south, Malia on the east and Zakros at the extreme east of Crete. There are more museums in Heraklion but those of Byzantine art and the private of Nikos Kazantzakis have to be mentioned for their importance. Although a big city Heraklion is a very pleasant spot welcoming the visitor who can explore not only the nearby archaeological sites but also the beauties of the city itself and the nearby sandy beaches as well as the small villages, in short distance from the city. In the city but also in the greater Heraklion area there are lots of fine hotels of all categories providing high standard services together with the famous Cretan hospitality. Heraklion area has many beaches where you can find lots of organised sea sports including sea diving. Also in many hotels, you will find sports campus and in those on the beach sea sports. Heraklion is close to the ruins of the palace of Knossos, which in Minoan times was the largest centre of population on Crete. Though there is no archaeological evidence of it, Knossos may well have had a port at the site of Heraklion as early as 2000 BC. In 961, Byzantine forces under the command of Nikephoros Phokas, later to become Emperor, landed in Crete and attacked the city. After a prolonged siege, the city fell. The Saracen inhabitants were slaughtered, the city looted and burned to the ground. Soon rebuilt, the town was renamed Χάνδαξ, Chandax, and remained under Greek control for the next 243 years. In 1204, the city was bought by the Republic of Venice as part of a complicated political deal which involved, among other things, the Crusaders of the Fourth Crusade restoring the deposed Eastern Roman Emperor Isaac II Angelus to his throne. The Venetians improved on the ditch of the city by building enormous fortifications, most of which are still in place, including a giant wall, in places up to 40 m thick, with 7 bastions, and a fortress in the harbour. Chandax was renamed Candia and became the seat of the Duke of Candia, and the Venetian administrative district of Crete became known as "Regno di Candia" (kingdom of Candia). Classical Greece Tour Greek Islands Cruise 12 Days Classical Greece Tour Greek Islands Cruise Greek Islands and Turkey all in one. 4 days Classical Greece Bus Tour with visits to Corinth, Mycenae, Epidaurus, Olympia, Delphi and Meteora, 5 days Cruise to Greek Islands and Turkey gives you a full impression of Greece! Athens, Mykonos, Santorini and Crete in just 12 days full of fun and sun! Visit Acropolis and its Museum in Athens and continue to Mykonos, famous for its beaches and incredible nightlife. In Santorini admire the sun going to bed over the Volcano, swim in the black sandy beach during half day Volcano cruise. Visit Heraklion and enjoy the sea and the sun and discover the Minoan civilization with optional tours .